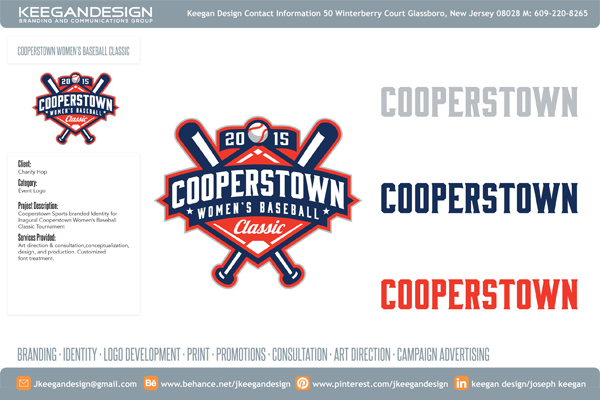 Keegan Design crafted the official logo for the 2015 Cooperstown Women’s Baseball Classic. Keegan Design is an innovative design agency specializing in logo development, marketing communications and brand solutions for a variation of businesses and special events. By utilizing their unique services clients can surround the consumer with powerful, consistent, and long lasting creative impressions that increase purchase intent and build long-term brand value. Call Joe at (609) 220-8265, or email jkeegandesign@gmail.com.